The Aphrodite is a beautiful ladies timepiece from Stuhrling. 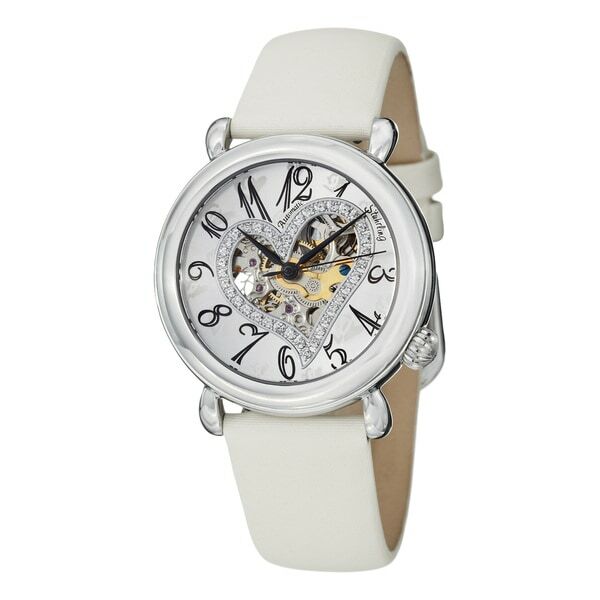 It has an skeletonized dial in a heart shape cut out with Swarovski Crystals filling the heart border. This is powered by an automatic movement that is housed in a stainless steel case. This watch is so pretty. I love it, The white one still works but the black one broke the third time I wore it. I have to get it fixed. Got this as a wedding gift for the bride and she absolutely loved it she wore it during the ceremony.